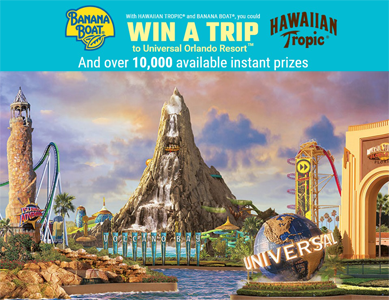 Enter daily for a chance to win the Banana Boat ‘Sun. Fun. Done.’ Instant Win Game (10,100 Winners!) Ends 6/24/17. You can request a code from 6/13/17 through 6/24/17 by visiting the link: http://sunfundone.com/code and following the directions to receive a code by email. 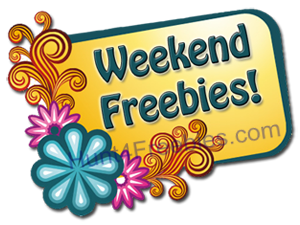 Entry Limit: One (1) code entry per day/email. Up to One Hundred (100): a $10 pre-paid debit card as determined by Sponsor. Up to Three Thousand (3,000): a $5 Walgreens Gift Card. ARV: $5. Up to Seven Thousand (7,000): a 2-week Pandora® Membership ARV: $2.50 each. Get a FREE Christmas in July Events at Michaels! Michaels stores are going to have Christmas in July and Passport to Imagination events for kids all week long this month! 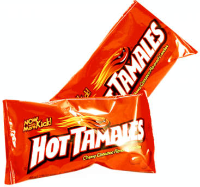 Play the Hot Tamales Instant Win Game for a chance to win a FREE Pack Of Hot Tamales Candy. You just spin the wheel until you are a winner, the odds of winning are fantastic! Good Luck!